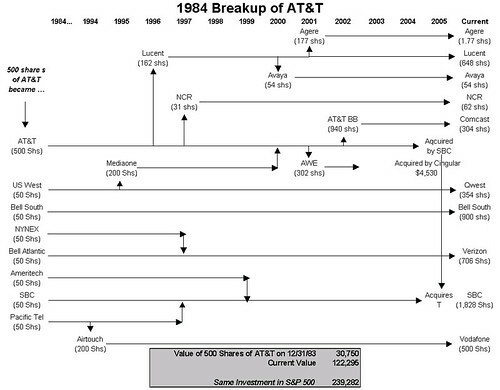 Ever wonder what the ROI would have looked like if you held onto all the post-1983-breakup components of AT&T? Birinyi Associates ran through the numbers, but only after plotting the taxonomy of mergers, divestitures, and acquisitions. What was once a dominant American long distance telephone company now spans a panoply of wireline, wireless, domestic, international, and cable businesses. They concluded, after some serious abuse of a Bloomberg terminal, that you have realized a 400% appreciation. The S&P over the same period returned 777%. There is an outstanding question if their analysis took into account dividends and subsequent re-investment of those dividends. I’ll update the post when this becomes clear. I’m grateful for the analysis, but it really calls for a better graphical representation…. 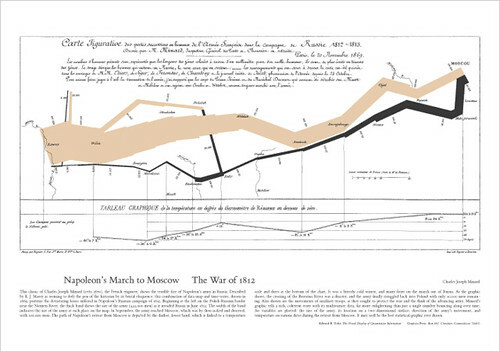 consider the famous map by Charles Joseph Minard that captures the fate of Napoleon’s army in the 1812 campaign. I couldn’t find a high resolution image anywhere, but a copy is available for sale here. Anyone want to do the same with the taxonomy of mergers, market cap of each component company, and … something else? All you financial types talk about diversifying our portfolio’s, yet many of us don’t. 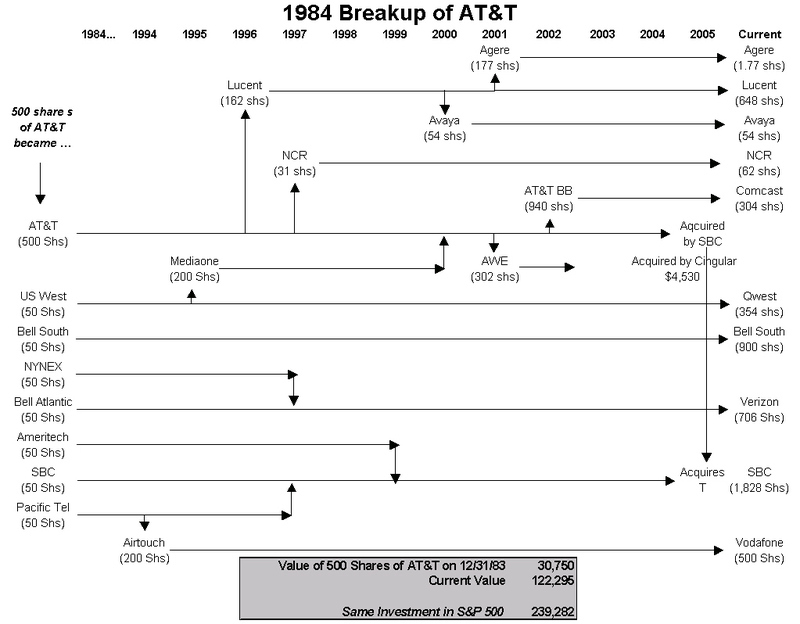 It looks like AT&T took it upon itself to do that for its shareholders. Napolean’s Retreat is one of my all time favorite visual displays of all time. I have have a framed picture of it hanging in my house. I also agree with you regarding the display of my AT&T graph, that would never find a place on my wall in its present form.